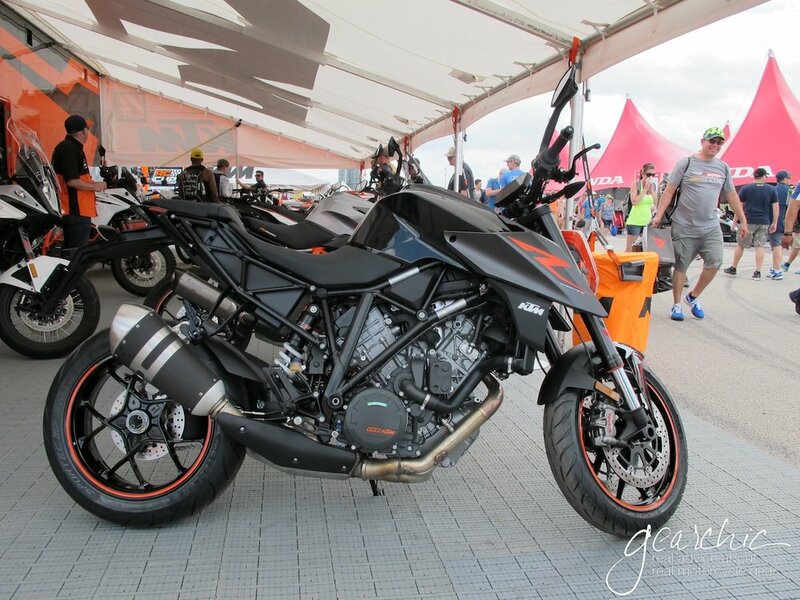 *Drool* KTM USA Tent at Circuit of the Americas, Austin. 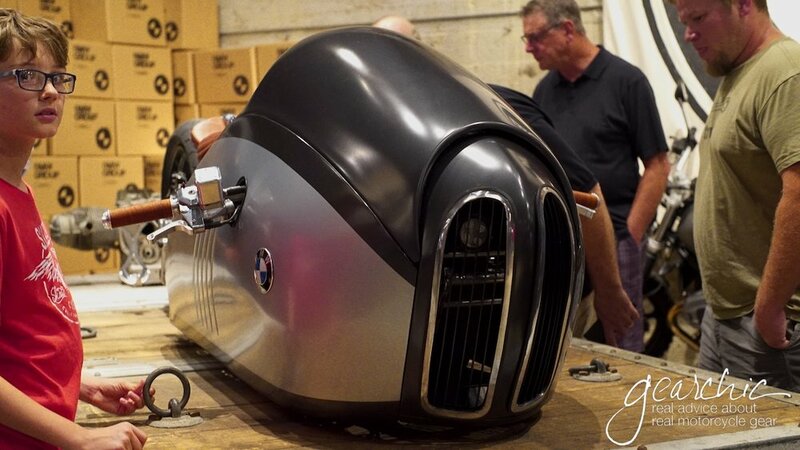 What I wouldn't give to take this baby for a 1,000 mile test ride. 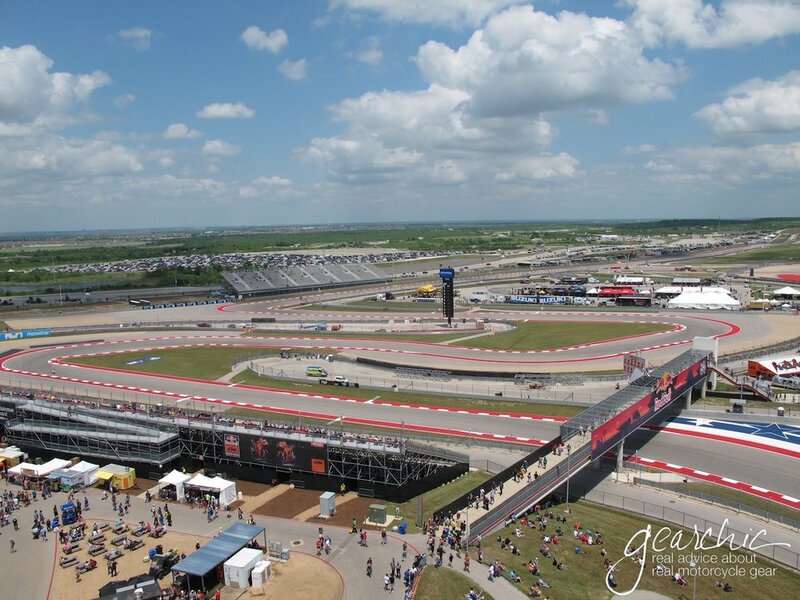 The reason we flew out to Austin was to watch MotoGP, it's the tip top of international motorcycle racing. 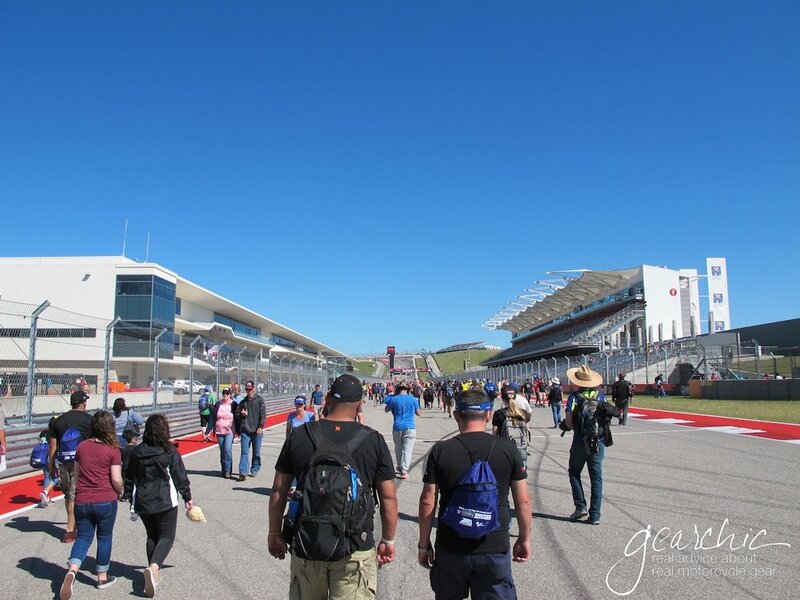 But along with MotoGP, other classes were out racing that weekend namely MotoAmerica. Which is "a professional motorcycle racing series sanctioned by the AMA and FIM North America." Valentino "the Doctor" Rossi, 38 years old, 7? time MotoGP World Champion. To most, a pavement god. Whereas "MotoGP is the pinnacle class of world championship road racing". The machines achieve a maximum output of over 240 hp and reach speeds of over 340km/hr. Watching live motorcycle racing is just awesome. 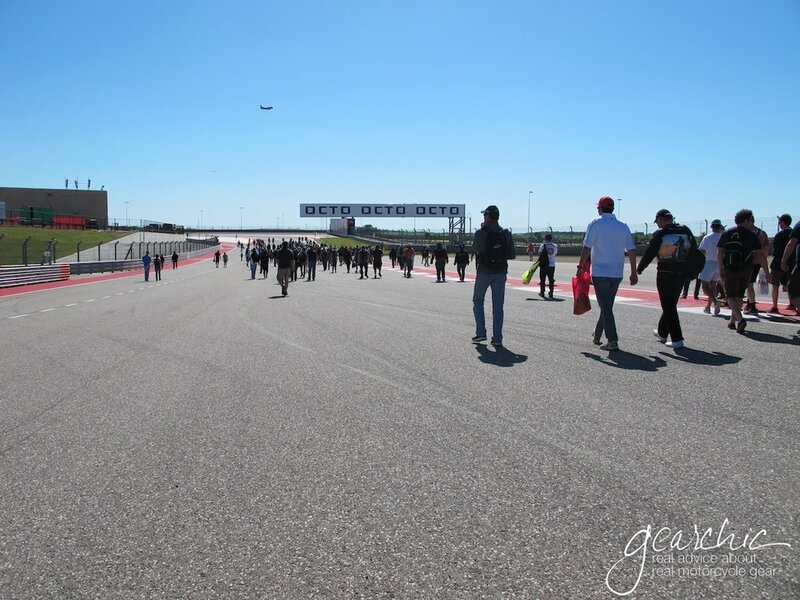 If you're interested in the technical aspects of MotoGP, click here. Racers from all over the world compete to win the title of MotoGP Champion. They race motorcycles that *no one* can buy, motorcycles that frankly, no one can really ride except champions. They cost millions of dollars, and are supported often (but not always) by the factory brands such as Yamaha, Suzuki, Honda, Ducati. I urge you to go watch the Faster Series (Faster, Fastest, Hitting the Apex) on Netflix/iTunes/Amazon/wherever. It's an incredible look into the sights and sounds of MotoGP. Something that has always fascinated me are the physics of motorcycling. Physics to me, are like magic but REAL magic, supported by Science and Facts! You can't really see it, but it's happening and can be measured to match up what your eyes are seeing before you. It's something I highly recommend experiencing at least once in your lifetime. 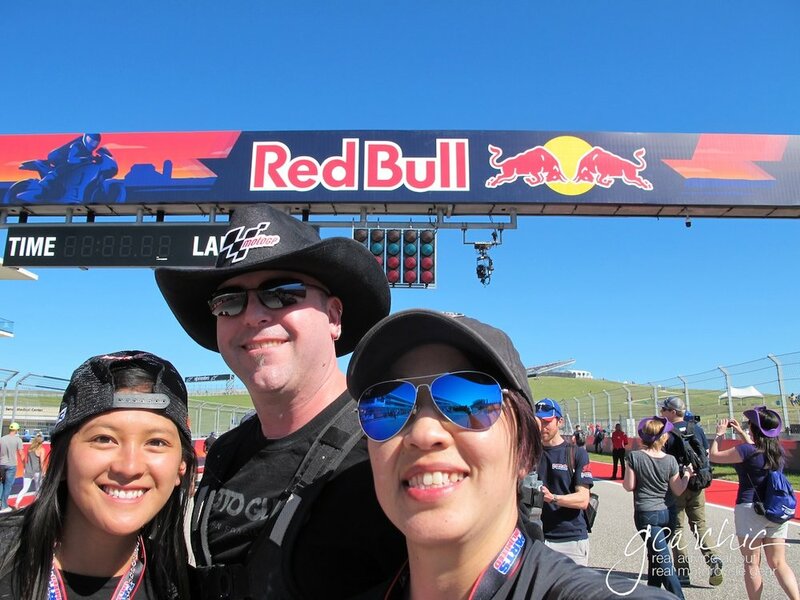 6-8 years ago, we went to MotoGP at Laguna Seca in Monterey with friends to watch and it was exhilarating. 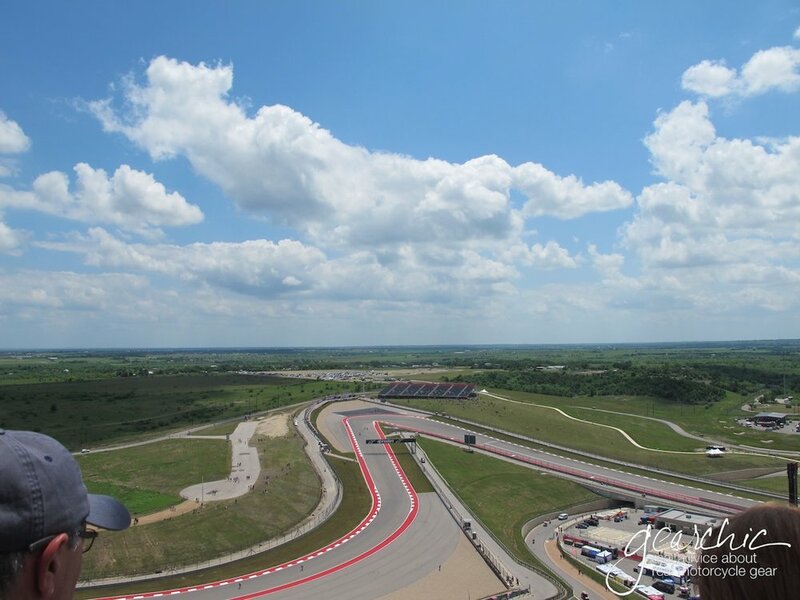 When I think of The Circuit of the Americas, the first thing that pops into my head are the signature stars and stripes across the entire track. Red, White and Blue colors are everywhere which isn't too unusual but I would say of all the MotoGP tracks, this one is *especially* patriotic to its home country. 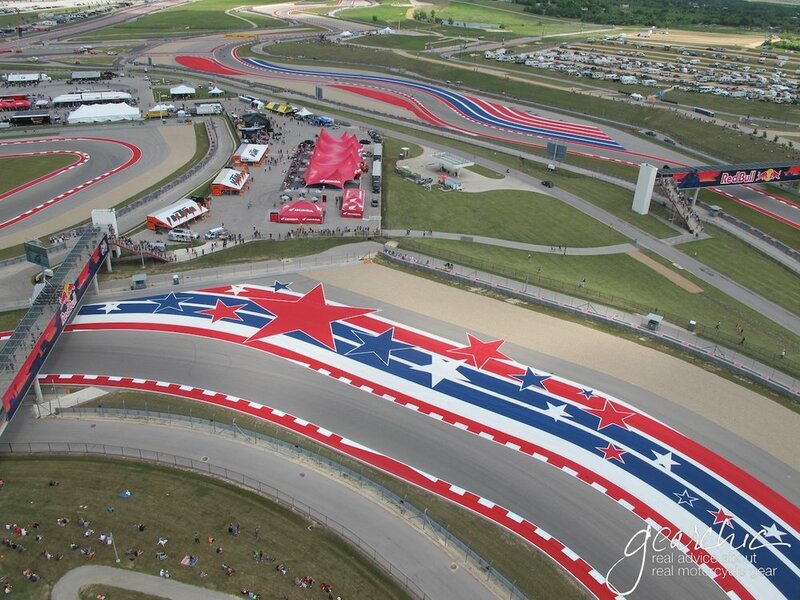 View from The Tower, looking down on Turn 3 with all the glorious stars. And Turn 3 was a great spot, with a nice tv screen to see all the action along with feisty commentary from Eurosport. I wish I had incredible camera skills, but if you want to see some beautiful motogp photography, check out Photo.GP. 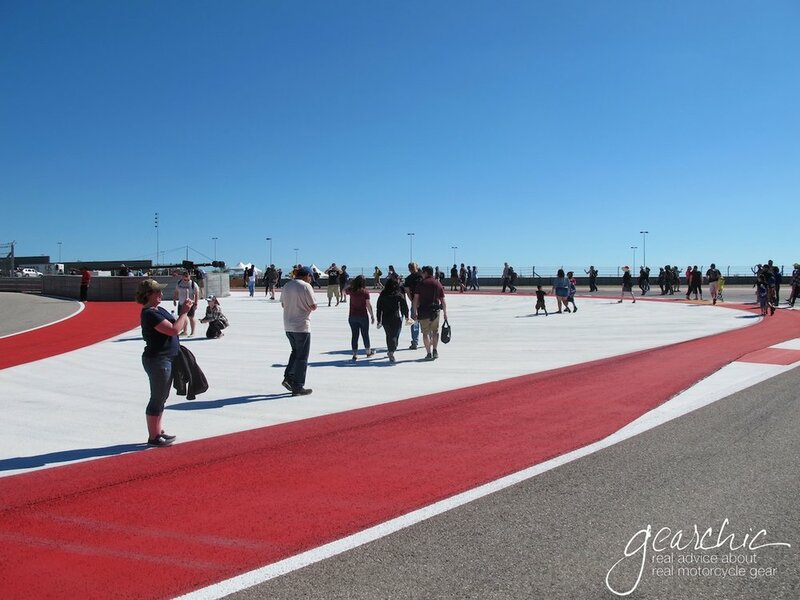 After the final race on Sunday, they opened the track for 30 minutes and let us walk around for a bit. 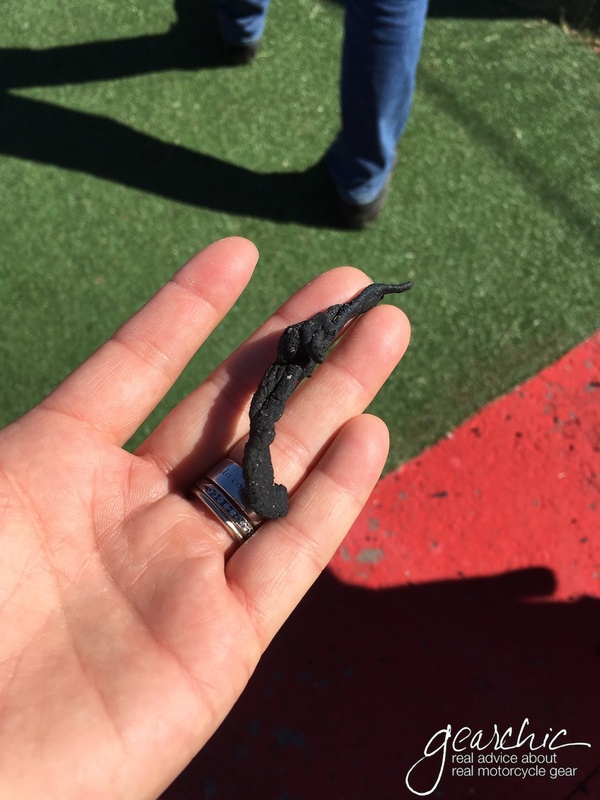 Could be from Rossi's tire, who knows? Ever since I saw this Tower in photos, I always wanted to get to the top to see what the view was like. The elevator was out, so that meant we had to climb to the top. It took awhile, but totally worth it. The view was stunning, and you could see the entire track in any direction. And then there were the Budweiser Clydesdales touring the country, with Austin as one of their stops. Look at these cuties, they were gorgeous and Huge! I love how the one in the back is totally cheesing in the background. They seemed excited when everyone was there to take pictures with them. Of course there's also a few stands to buy some gear. I couldn't resist buying this "coolshirt" from Taichi. It's basically a zip up baselayer for hot weather. I got a really bad sunburn on Friday and I needed something soft up against my shoulders so this was perfect. It feels silky to the touch, really soft, I'm looking forward to wearing it in really hot weather to see how it compares to my other hot weather baselayers. I bought a Medium and it fits me perfect, not too tight / not too loose. You can check it out here. 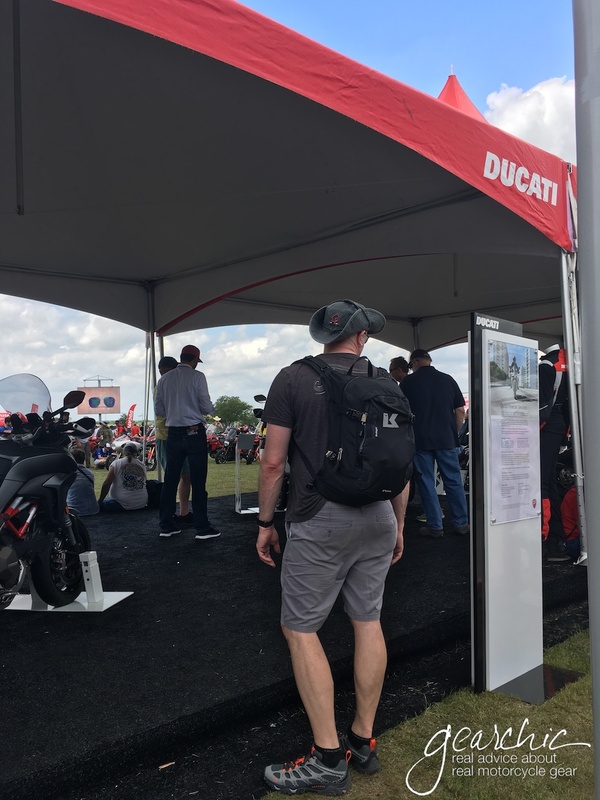 Wandering around the track, there were also some cool areas to check out including shopping, bikes and bikes. Can we go out sometime? Have I Mentioned How Much I Like You? Racer Bobby Fong landed on the podium three times that weekend with this bike. I think I gained 10lbs. 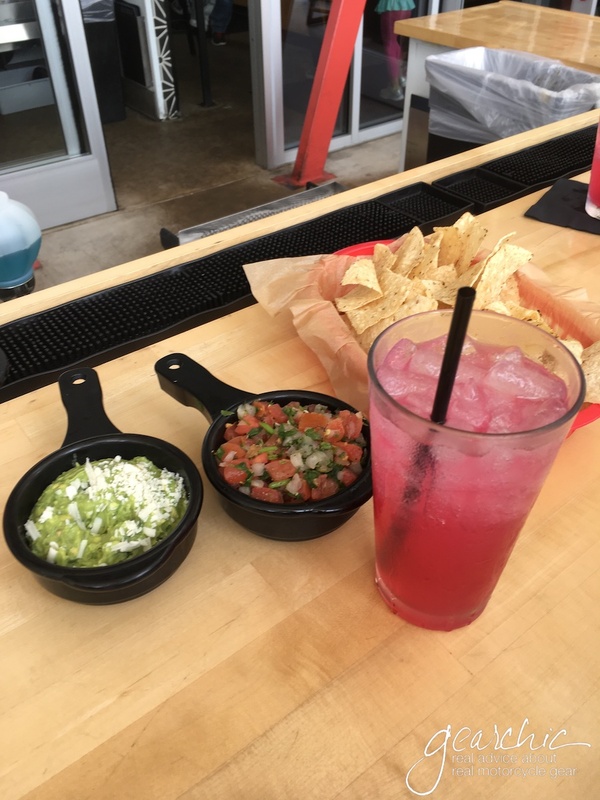 SO much deliciousness in Austin. 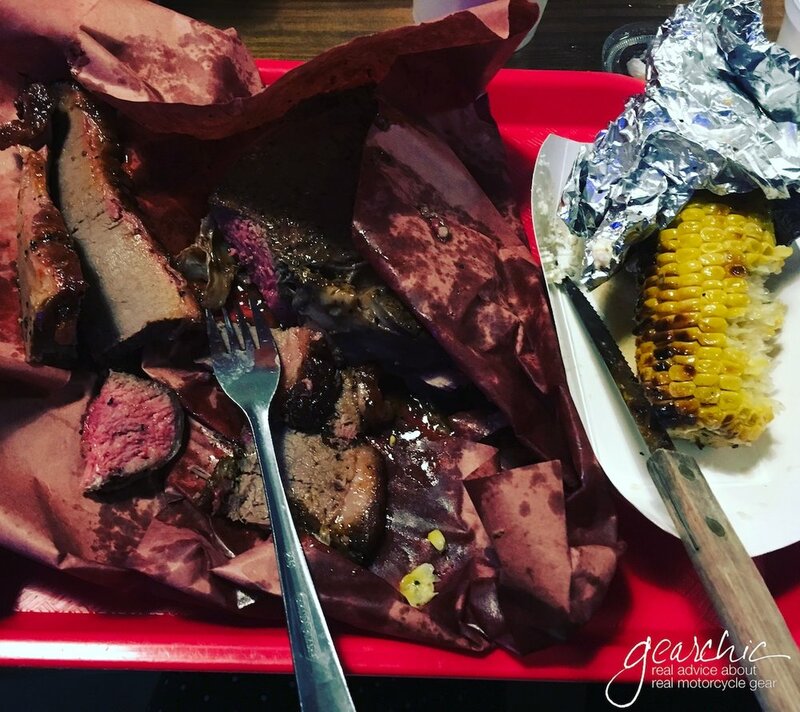 The food was fantastic, and the barbecue was amazing. Second night in Austin. I swear I tried to take the entire hunk of Ribeye home (2 days later). It was SO good. Homemade, fresh ginormous donuts piled with various toppings. YUM. Last BBQ in Austin. Another delicious meal. I swear practically on every corner was a food truck. Even in the parking lot at this adorable pet store. Yep, those are fake dogs on the roof! And food trucks parked in the pet store parking lot. 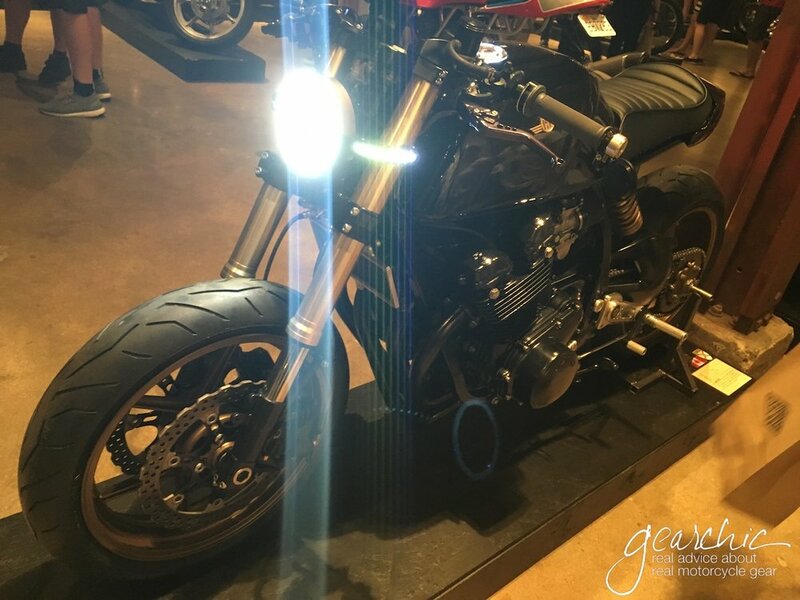 We spent Friday night at the Handbuilt Show, a popular event in Austin that happens the same weekend. It's remarkable what people can make with their own two hands. 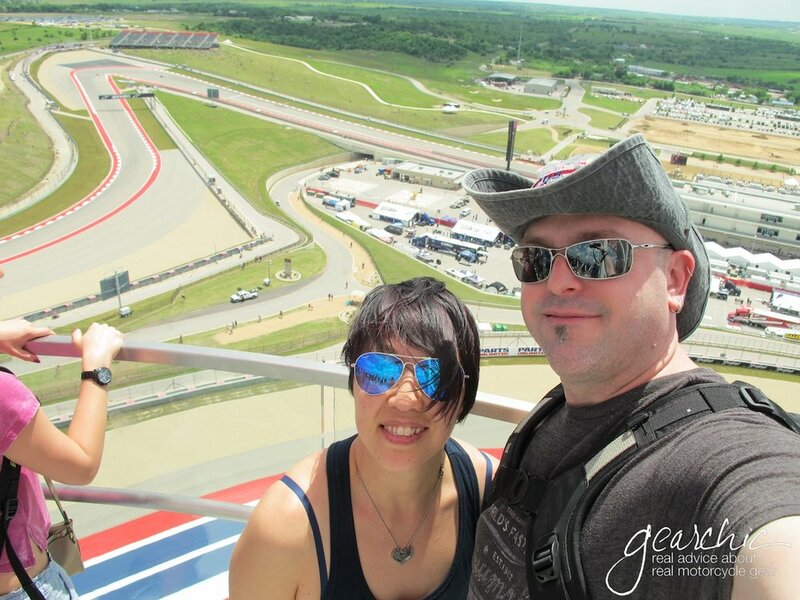 We had a great time in Austin, I really hope to go back next year.... Thank you Austin!